Highest quality organic tincture of Skullcap herb. Botanical food supplement. 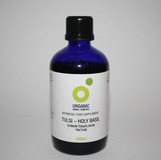 Highest quality organic tincture of Thyme. Botanical food supplement. High quality tincture of organic turmeric with natural organic curcumin. High quality organic tincture of vervain herbal remedy botanical food supplement. High quality tincture of organic vitex agnus castus. High quality organic tincture of White Willow bark herbal remedy. Highest quality organic tincture of Yarrow. Botanical food supplement.